We had such a great weekend at Kemmerer's Christmas Tree Farm this year~ make it a holiday tradition to get your tree from these guys because they are awesome! I promise you won't be disappointed and they're so good to me to allow me to come and set up there every year. One of my annual clients drive 45 minutes back to the farm because they love their trees and they last all season! 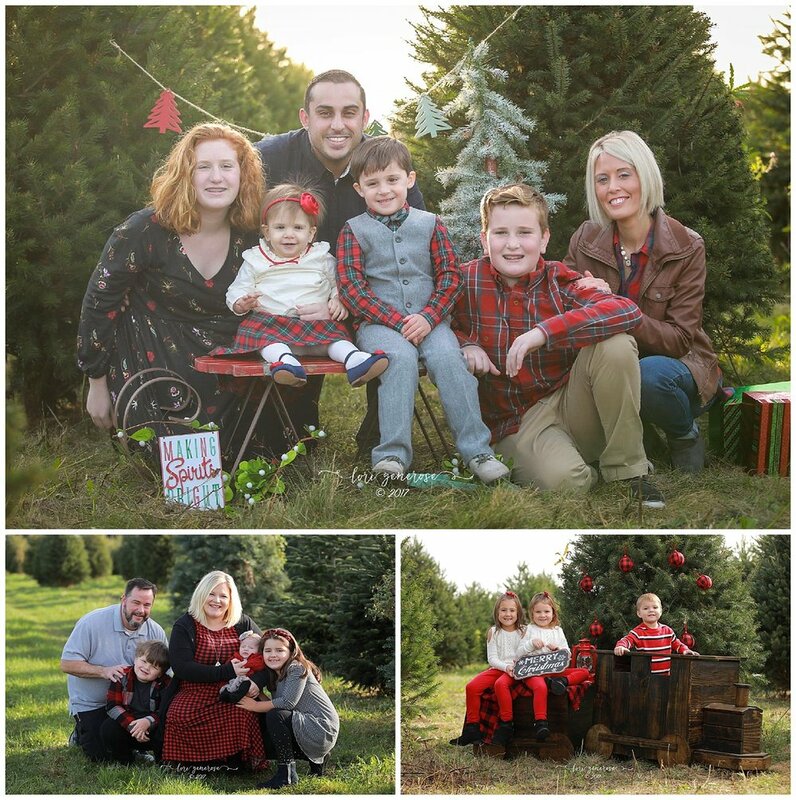 So many of the families in these photos have been making a yearly tradition of coming to me for the tree farm minis~ I just love seeing their smiling faces and kiddos growing year after year. Loved my setups this year and everyone's outfits went with the color schemes perfectly!